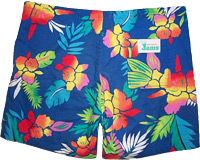 Jams Shorts – an 80s summer fashion must have for both men and women! 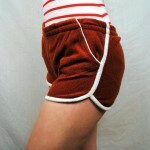 | Like Totally 80s Jams Shorts – an 80s summer fashion must have for both men and women! Those mid-length surfer shorts in outrageously bright colors and patterns are actually a brand, the way Band-Aid is used to refer to all wound-covers (probably because the alternative is “wound-cover”). 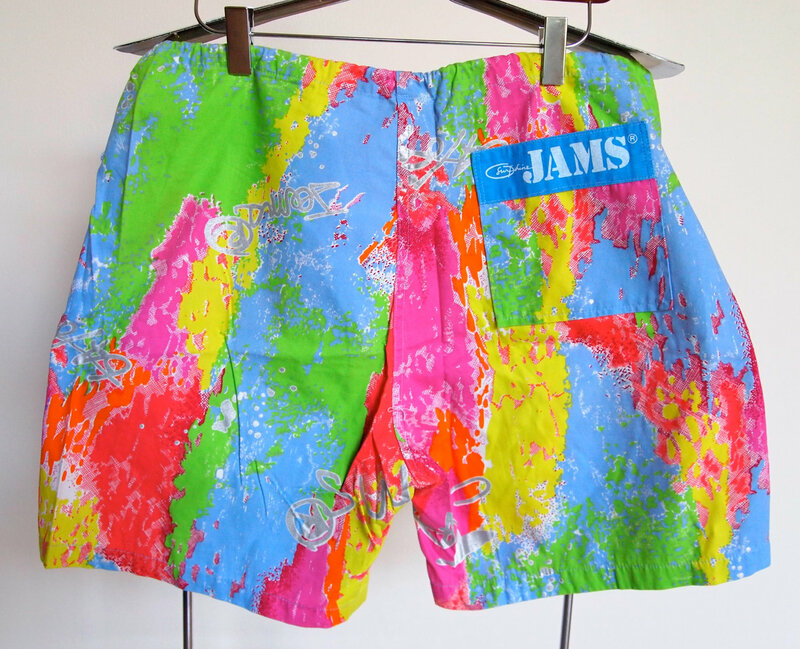 Anyway, Jams is whole line of surfer-styled clothing, but it’s the shorts that really captured our fashion imagination in the mid-80s (their zenith was the summer of 1986). Their popularity in the 80s was a resurgence of their popularity from (when else?) the 60s. Legend has it that back in the days when LIFE Magazine was of major cultural relevance, a surfer dude saw photos of comfy-looking Russians on the beach in their bathrobes. Bathrobes led him to think of pajama pants, which he shortened in two ways; to just above the knee and to the name Jams. 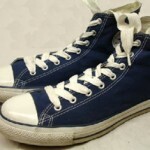 His wife made a few pair, he and some friends were featured wearing them in, you guessed it, LIFE Magazine. Voila. So they were back with us in the 80s. I don’t know about you, but my memories of Jams are two-fold. First, they were expensive, like REALLY expensive. Way too much for shorts, my mom would say. So, in that awesome, motherly way that I’m afraid is fast becoming a thing of the past, she made me some. Went out and bought super-cool cotton fabric and made me a whole bunch of knock-off Jams! How cool is that. 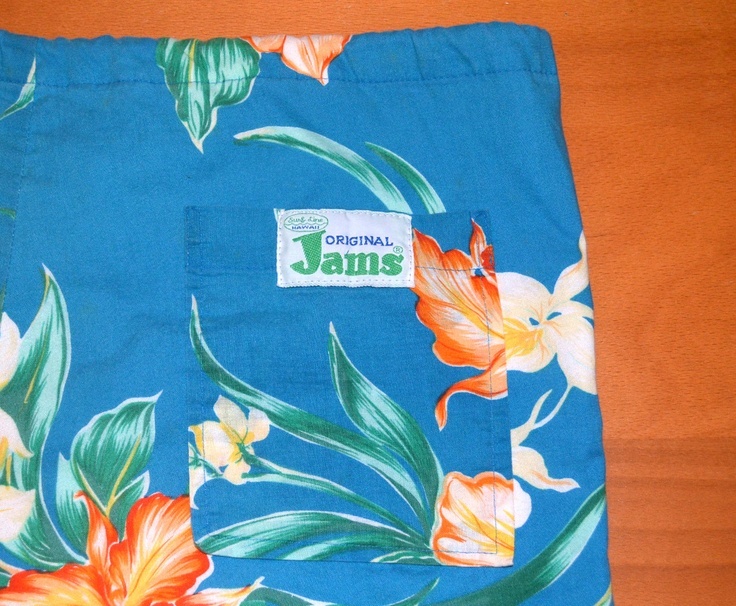 (If I were snarky and ungrateful, I’d complain because they didn’t have pockets, or the “Original Jams” label shown below, but I’m not so I certainly won’t.) Turns out I’m not the only one whose mom balked at the price tag, because lately I’ve run into a few other thirty-somethings whose moms were equally thrifty and talented with the make-your-own Jams. I even managed to dig up photographic evidence of my homemade “Jams” (sorry for the picture quality). Alli in homemade Jams circa 1986. Note the popped collar on the polo. Awesome. The second thing I remember is that Jams were kind of unflattering on girls. Sort of unisex in appearance. That may be fine for these young kids today with all their boyfriend jeans and skater-chic, but in the 80s that unisex thing was a little awkward. I’m not talking about gender-bending style (remember that phrase?) in a rock-star way—like men with eyeliner, which was cool. I mean shorts cut really straight in a way that didn’t flatter the female teen body in any way. But, that didn’t stop the girls of the 80s from rocking the Jams look. This 80s fashion trend was very much unisex. 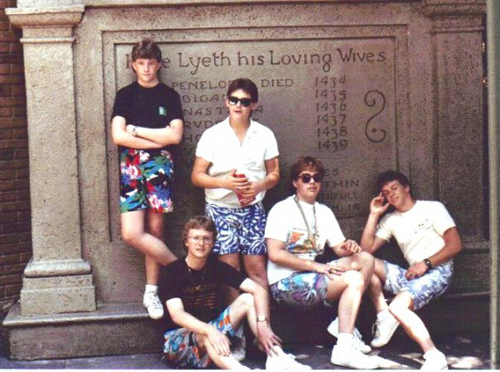 Hello boys of the summer of 1986. They clearly all got the memo. Another great example of classic Jams! Unlike some brands that died in or shortly after the 80s (think Units Clothing), Jams lives on. Today’s Jams are vastly improved. It’s true that you can find bright surfer/skater type shorts (interesting how those styles are so closely linked) a lot of places, but if you’re really interested, you’ll want to stick with the original. Head straight to Jamsworld.com (and no, I get nothing in return for that plug other than the pleasure of seeing people wearing vibrant, interesting, well-made clothes, although that’s a reward in itself) and see what’s there. A lot of it is really hard-core, committed surfer-style stuff, but the shorts are still there. The men’s shorts are called “volley shorts,” and they’re long, baggy, and draw-waisted. Women could wear them, sure, but I suspect they’d be fairly, well, drapey (some might say shapeless). Sigh. Just like in the 80s. But then we have Daisy shorts! They look like flirty miniskirts, but they’re shorts. And that’s the update I was hoping for. Same outrageous prints, updated in a feminine style. There’s even a top yoke to make them sit flatter, which has the added bonus of adding a second, contrasting fabric around the top. I don’t sew, and I’m guessing you probably don’t either. And my mom’s sewing machine hasn’t seen much action lately (and when it does, it’s just hemming pants, because these days, she’s too busy with her book club and Curves to find time to make shorts for her slave-to-fashion daughter!). So I’m happy to say that if you want to revisit the Jams craze of the 80s, you can do it without involving your mother in any way. Unless you want to buy her a pair as a thank-you for all those knock-off Jams. Wish we could help, but we don’t sell on the site I’d watch etsy.com and ebay.com for them. They’ll come up eventually. You could set up Google Alerts with “paint splatter jams” or the like so that you’d be notified when something matching hits the web. Hate to tell you, but girls wore jams in the mid to late sixties. Back then it was a style, not a namebrand. 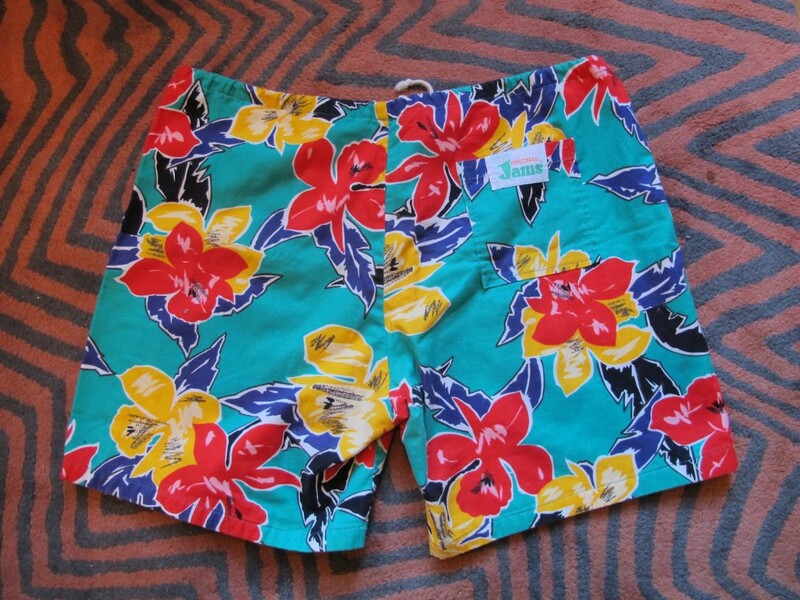 Tropical print long beach shorts with matching bikini top and bikini bottoms too, if you wanted to take your jams off. I think the “brand” of the eighties was a knockoff of the “style” of the sixties. My girlfriend and I both had a pair that we bought at Lerners. Hers had ruffles around the bottom. We loved them! I think the author said that. Thanks. I still have a pair of them! Now I know what they were referring to in Chowder when Mung Dal was saying how Schnitzel was being like an obnoxious teen wearing Jams. I have a pair of Jams that I still wear & they are 40 yrs. old! Getting a little frayed now. That’s why I’m at this site – I want to buy some more! I’d go back to the 80’s in a heartbeat. It is, and always be the best decade ever!